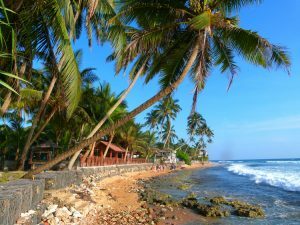 After enjoying the charms of the colonial capital Colombo for almost six days, it was time to head for the South West Coast of Sri Lanka. First stop, Hikkaduwa. Unused to the trains, we managed to book 3rd Class tickets to Hikkaduwa (85 LKR each (USD 1.10) and squeezed on to an already over-crowded carriage with all our luggage. Fortunately, there’s really no-holds-barred on the trains, and anything goes. So you push and shove, and get pushed and shoved, nobody seems to mind. It’s uncomfortable and inconvenient, and you can’t afford to be shy. Even the young girls know that they’re going to be pressed up against strange men, but they take it in their stride. I think I was more embarrassed about it than them and kept my hands above my shoulders and well out of the way! 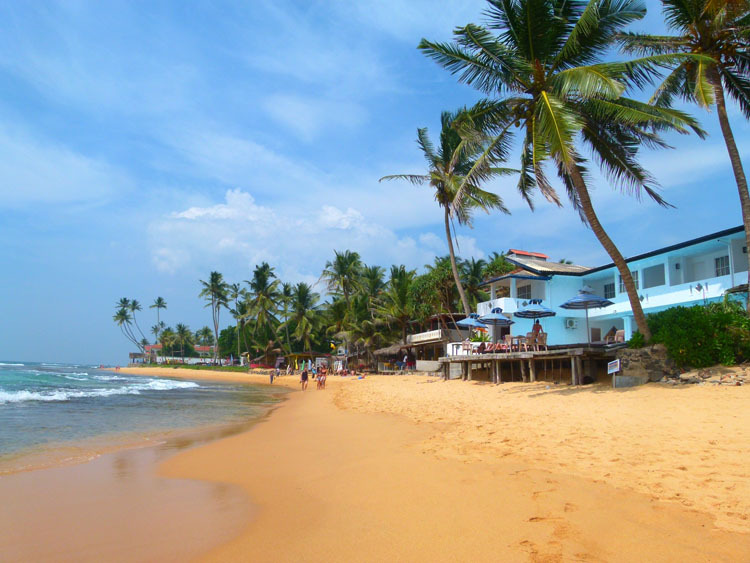 After standing for 2 hours, we found ourselves in the coastal town of Hikkaduwa, a budget tourist resort place with heaps of accommodation, seafood restaurants and enough activities and tours to keep everyone amused. Not sure of how far away our guesthouse was, we haggled with a tuk-tuk driver and got taken to the door of the Turtle’s Rest (and Curry Bowl Restaurant) Guesthouse in the middle of town. It’s a lovely character house with incredibly friendly owners and staff. Our room was nice and clean with AC and private bathroom and was literally 20 metres from the water. You can book the guesthouse on either Airbnb or Booking.com, or you could just turn up and see if they have a vacancy. They are very popular though so I’d try and book ahead if you want to be sure. Note: If you haven’t opened a FREE Airbnb account yet, then use THIS LINK for a $40 credit off your first booking over $75. If you decide to use Booking.com, then use THIS LINK for a $20 discount. 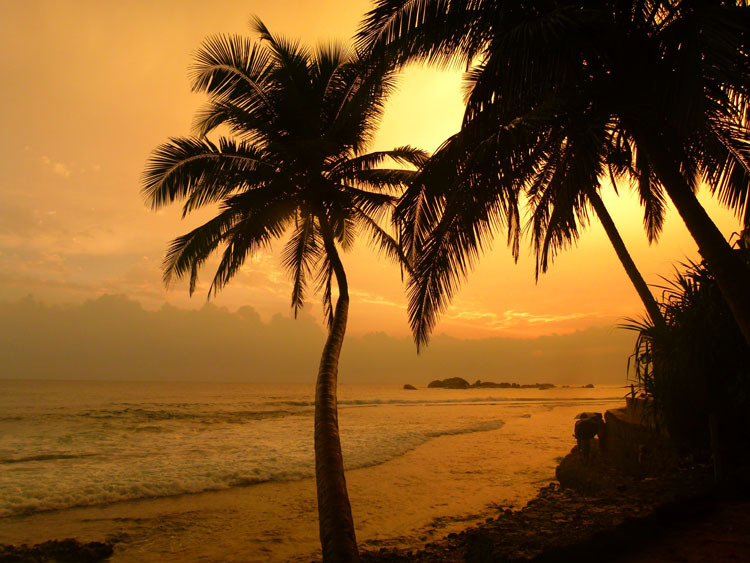 Hikkaduwa was our first chance to enjoy the Sri Lankan sunset at beachfront restaurants with a few beers and chill out. There’s no techno beats or trance music. 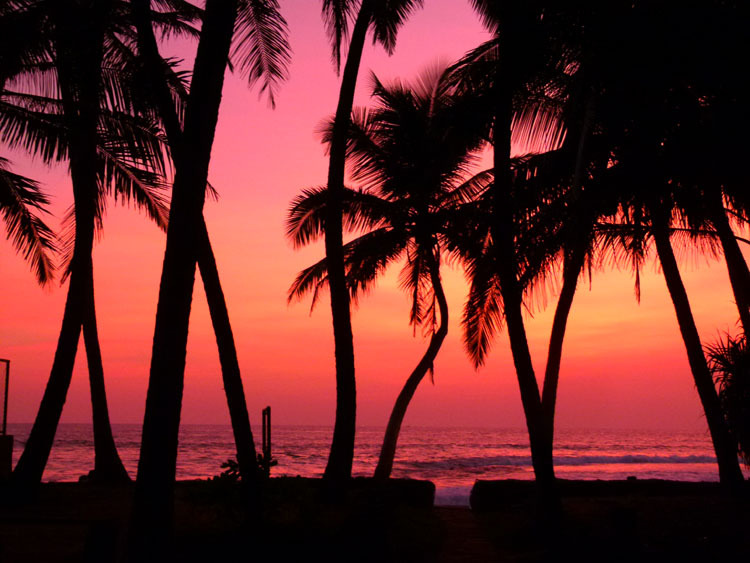 Just icy cold beers watching the sky change from orange to pink, listening to the waves crash and some regular evening downpours on the thatched roofs. It’s cheap too – we couldn’t resist indulging in a seafood platter for less than USD35 – a massive plate of lobsters, crabs, calamari, fish and jumbo and regular prawns. Yep – We really enjoyed ourselves here. 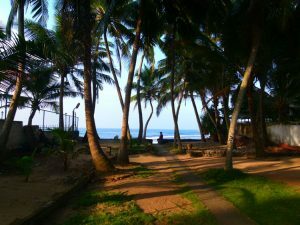 On our 3rd day, we hired a scooter for about $8 and rode up to Bentota, a beautiful beach and tourist enclave, approximately 37kms north of Hikkaduwa. Beachside resorts along the way are spread out, and unless you have transport, or take the crowded buses, options for eating seem limited to your hotel. Exposed coral shelf at low tide. We found the family running Turtles Rest quite endearing. We were even introduced to their mother and had a chat on the phone with the owner, a doctor who lives in the next town. When we left, we gave them a small koala souvenir from home, and they insisted we wait around while they went and bought some fridge magnets to reciprocate the gesture. Sweet people! We think we’ll try and stay there again before we leave. One of the advantages of coming from a cricket playing nation is that the mere mention of it here will immediately immerse you in conversation with the English speaking locals. Their knowledge of the game is boundless, even from teens who can quote statistics from a time when they were only toddlers! It’s a great way to meet people here and find out information about events and places. 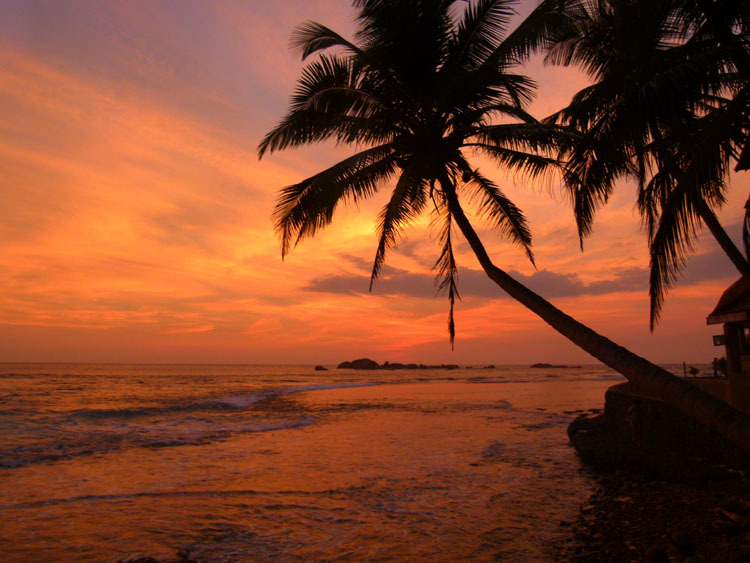 The sunsets at Hikkaduwa never fail to amaze! Postscript: So enamoured with Hikkaduwa were we that we chose to return before leaving. I also spent six nights here while Sharyn returned to Australia to speak at a conference for a client. 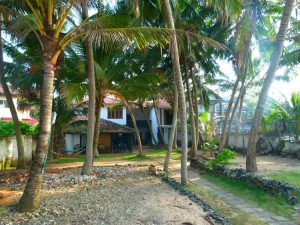 The location and staff at The Turtle’s Rest and Curry Bowl Guesthouse can’t be beaten, nor can the endless sunsets and the sound of the waves crashing sending you off to sleep each night. Our own little slice of heaven on Earth. 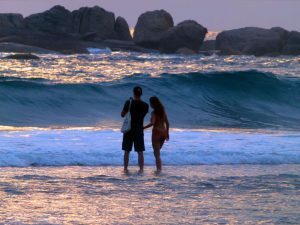 Walk right up to the crashing waves. Get up early and be down the beach around 7-9am to see Rosemary the giant green turtle and her friends. Just ask the locals where she is, and they’ll point you in the right direction. 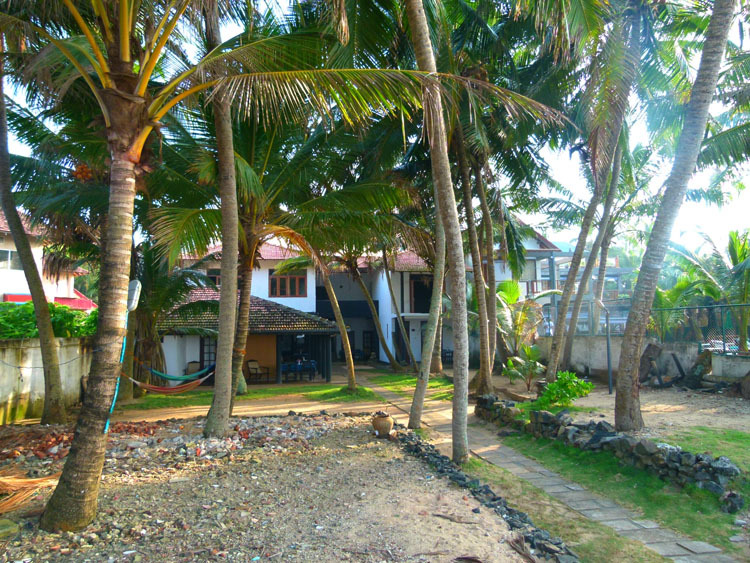 You can’t do much better than a stay at the family-run Turtle’s Rest and Curry Bowl Guesthouse right in the middle of Hikkaduwa. Motorbike Rental – ask around town. Prices do vary, as does the quality of the rides. We got a brand new bike for 1000 LKR per day. (About USD 7-8) Don’t forget that to ride legally (and be covered by your insurance) you should have your international motorbike licence verified by the Sri Lankan Automobile association in Colombo. The police were singling out foreigners for hefty fines while we were there. If you need to go exploring while you’re here, just hop on any southbound bus and get off in Galle to see the Galle Fort area, a small town inside the fort with lots of old colonial buildings now being used for hotels, restaurants and shops. Hire a scooter (~ 1000 LKR/day) and head north up to Bentota. There are lots of beaches with no-one on them to enjoy on the way up. Stay, just a little bit longer! 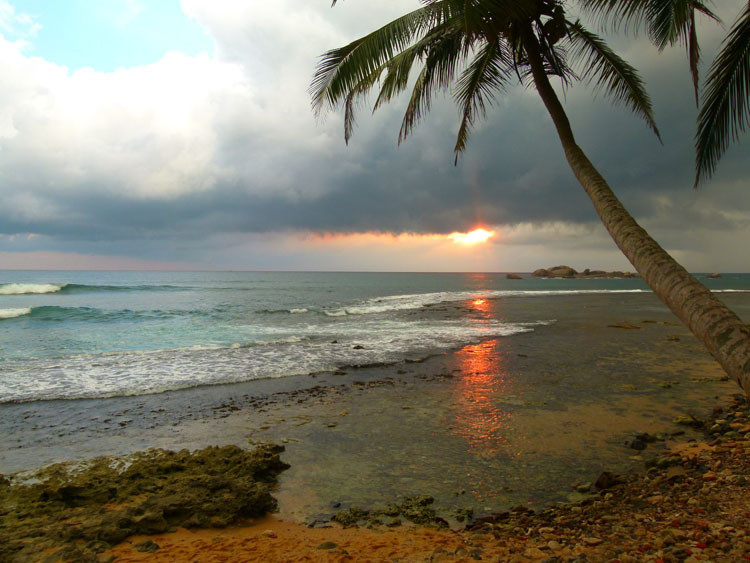 Next stop Galle on the Southern Tip of the Southwest Coast of Sri Lanka. 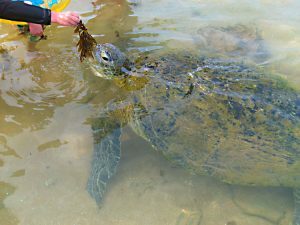 Previous story How to travel to the Maldives on a budget and still have an awesome time!